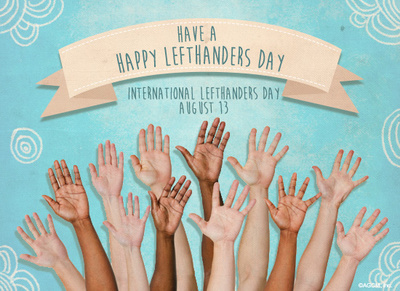 August 13 is designated International Lefthanders Day by Lefthanders International. It was first observed 13 August 1976. As its name suggests, it is meant to promote awareness of the inconveniences facing left-handers in a predominantly right-handed world. It celebrates their uniqueness and difference, who are from seven to ten percent of the world's population. To raise awareness of left-handedness and the challenges caused by living in such a right-handed world. Celebrate the strengths and advantages left-handers possess, and dispel many of the superstitions and fiction that have surrounded left-handedness in many cultures for hundreds of years, and which still create prejudice today. Provide the greatest possible range of tools and equipment specifically designed for left-handers to use – making everyday tasks easier than left-handers have ever experienced, and making a positive difference to their lives. 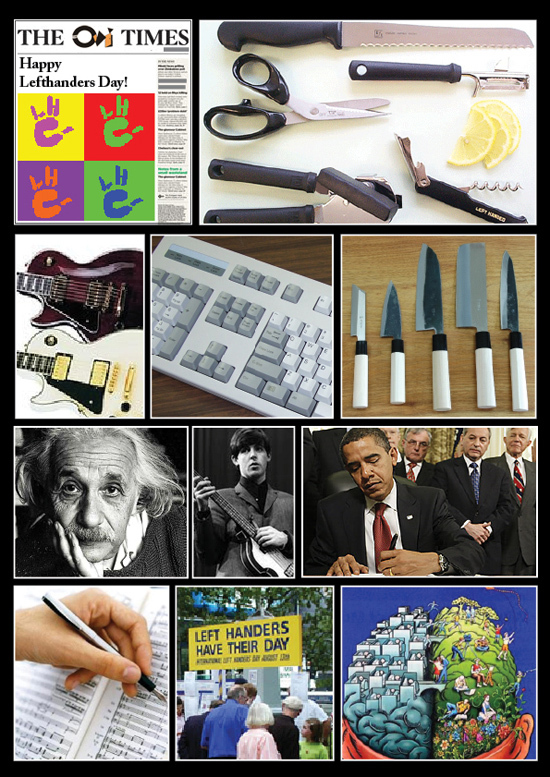 Promote research into various aspects of left-handedness. This year we publish the initial results of our Life Choices Survey and promoting further research to compile a picture of the jobs, activities and hobbies that left-handers tend to choose and why.